The eBay store has been overhauled and now has the feature to actually select a size instead of emailing me with a size after the purchase has been made. I can’t even begin to tell you how much easier this will make things. It is amazing how many people will order a shirt not knowing what size they are ordering, and just assuming I know which one they need. Those days are over, now they can select the size and I will get it. My girlfriend Nicole has been jobless for a few months because she had been laid off and things were getting tough. Not in our relationship or anything like that, but more her morale had been down from not being able to find a job. Today she accepted a job offer in her field and things are now on the upswing. 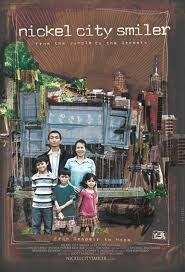 Tonight we are going to see a film downtown about the people from Burma moving to Buffalo. We are really interested in seeing this movie because we actually live in the area that they are all moving to.